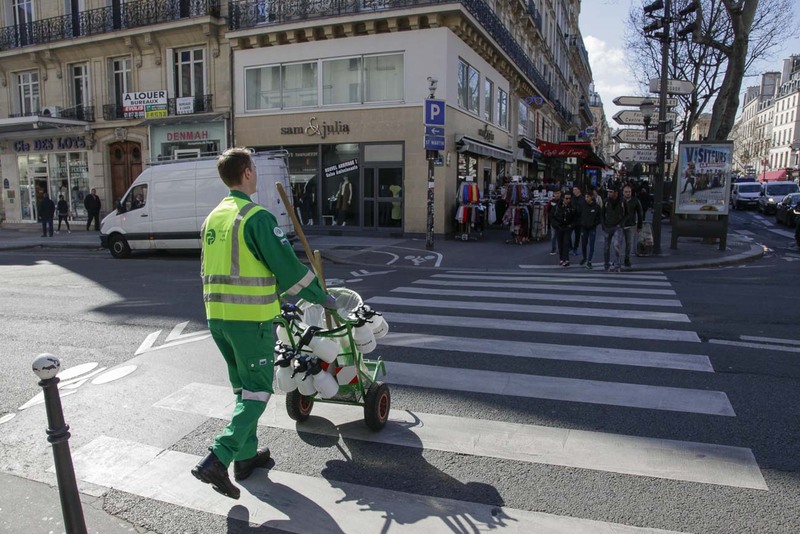 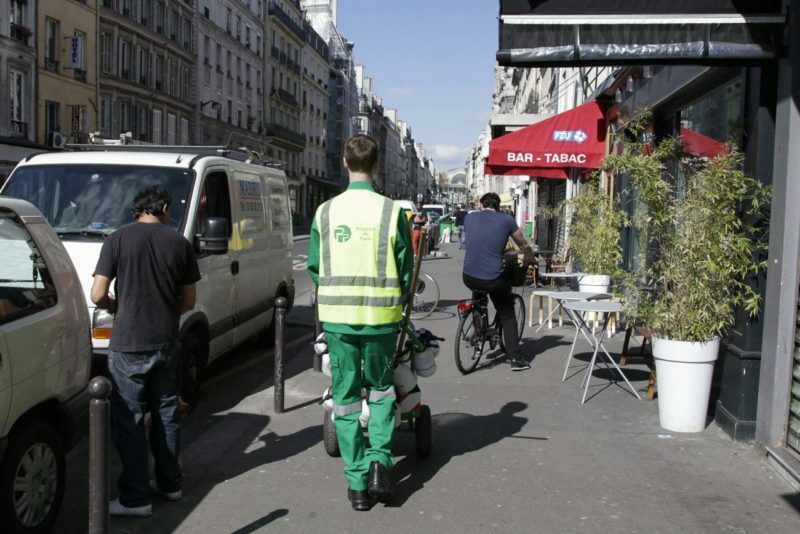 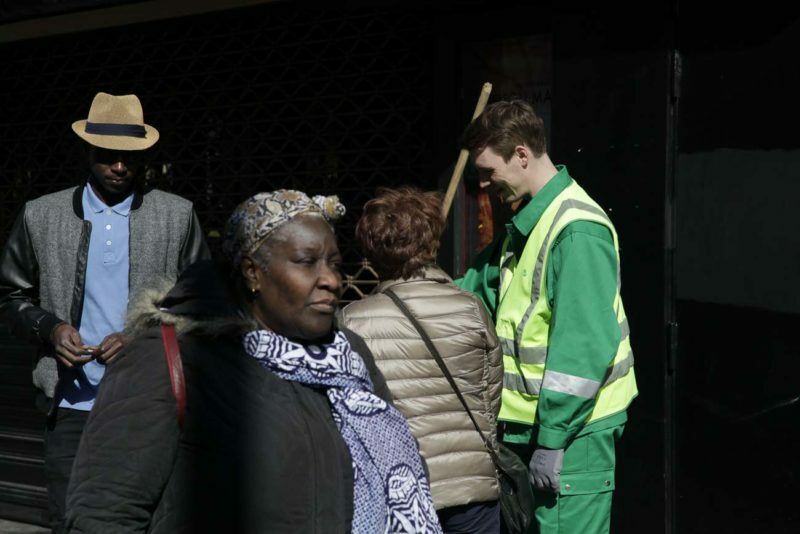 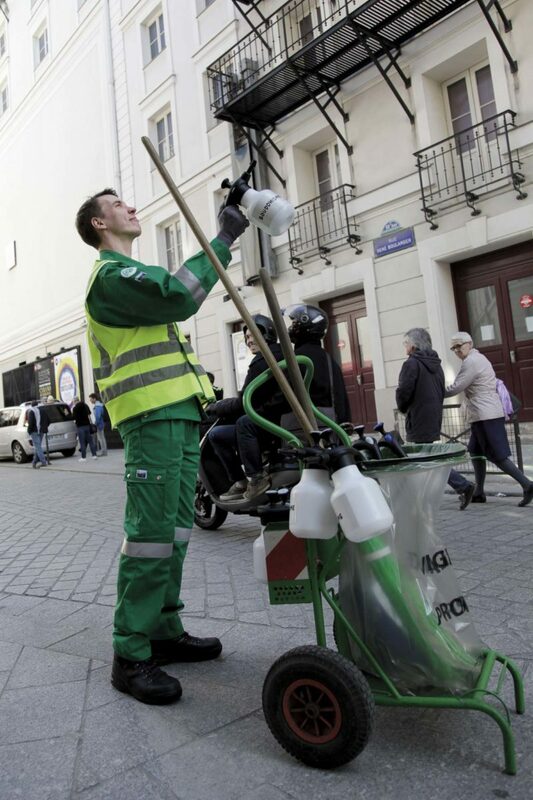 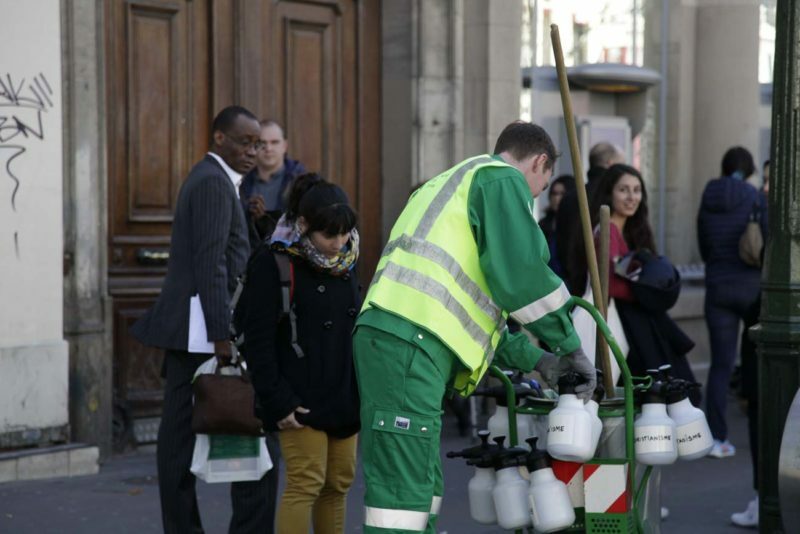 A Parisian street sweeper in a green uniform pushes his trolley along the street, apparently going about his usual business. 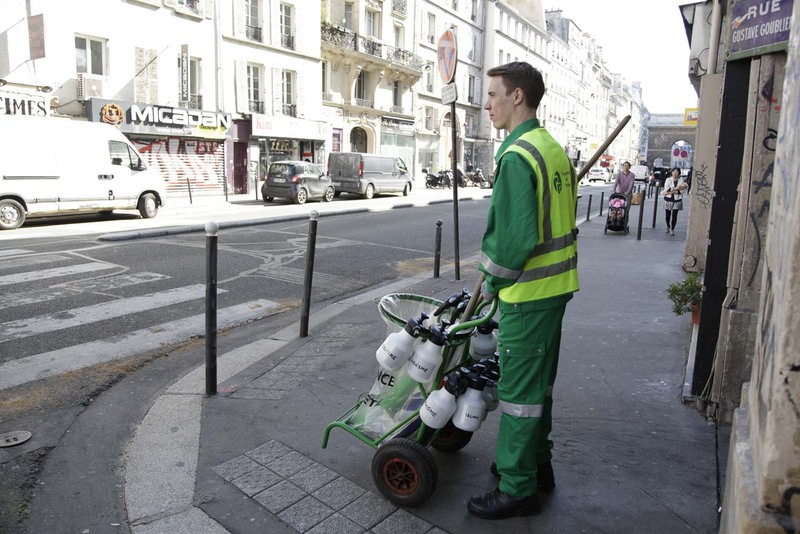 He stops every now and then, takes a spray bottle from his trolley, and sprays something in the air. 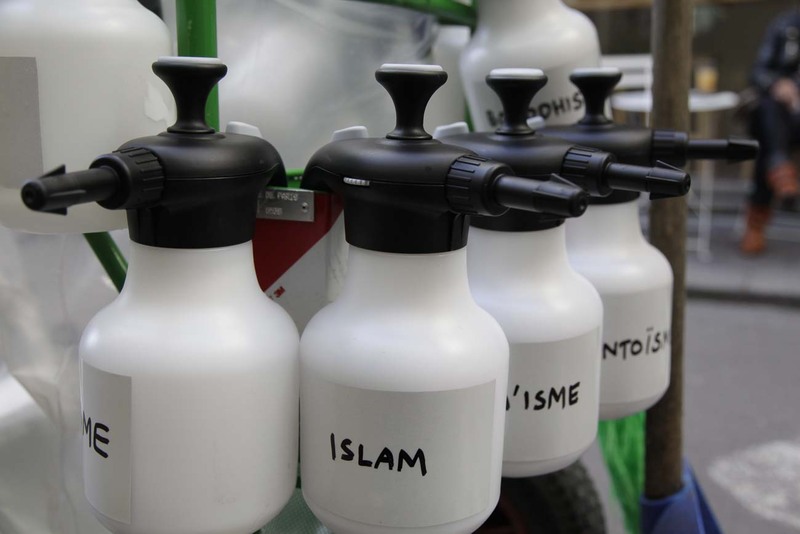 He takes out another bottle and sprays more. 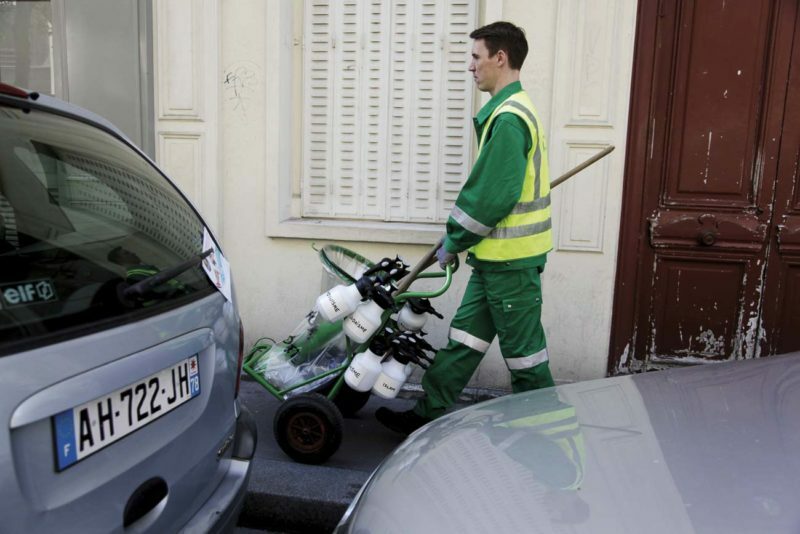 Whatever he is spraying evaporates immediately with a loud hiss. 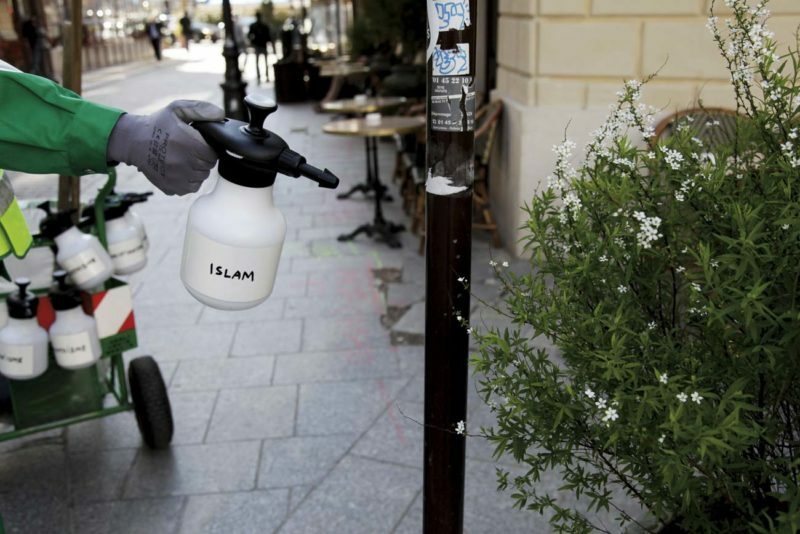 the air with religion – to be inhaled by unsuspecting passers-by.